The No. 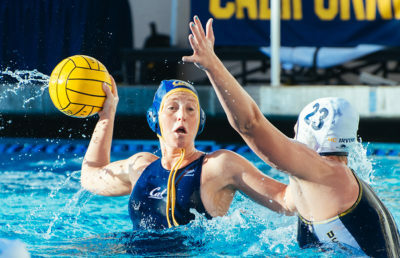 2 Cal women’s water polo team will have an opportunity to extend its season series lead to 3-0 when they travel to No. 10 UC Davis this weekend. After a disappointing loss to No. 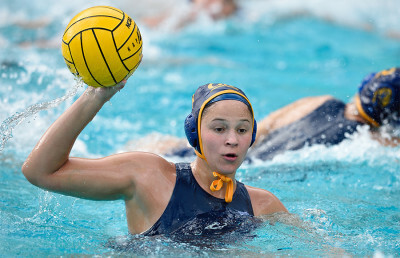 1 Stanford in the championship game of the Stanford Invitational, a win against UC Davis would give Cal its 10th win on the season, as compared to only one loss. If the early-season matchups between these two teams are any indication of how the third match will play out, the Bears should expect to handle the Aggies with relative ease. 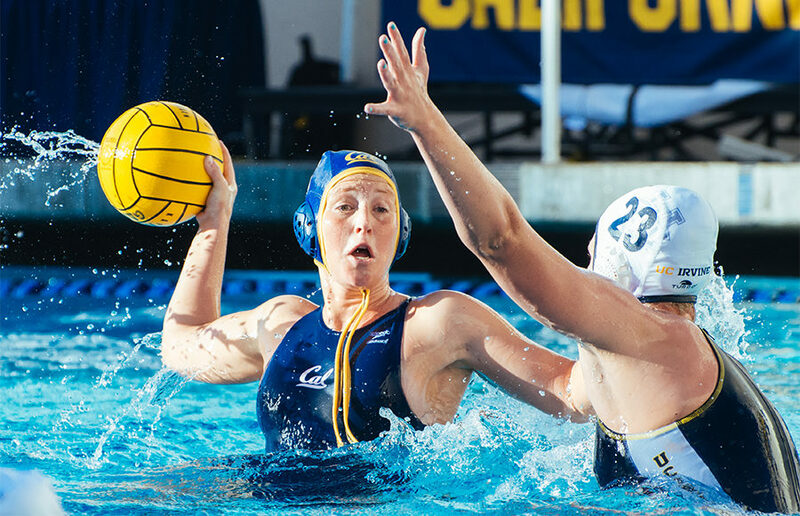 Cal defeated UC Davis most recently at the Stanford Invitational, 14-9, and previously at the Cal Cup, 15-6. Head coach Coralie Simmons felt comfortable mixing multiple underclassmen into the rotation in Stanford against UC Davis, giving freshmen Elli Protopapas, Kitty Lynn Joustra and goalie Cassidy Ball and sophomore Hannah DeRose significant time in the water. The four freshmen have been vital to their team’s success in the early going. Ball has backed up junior goalie Madison Tagg well, with 15 saves in only 64 minutes. The trio of Protopapas, Joustra and DeRose account for three of the top seven of the Bears’ scoring totals for this year. 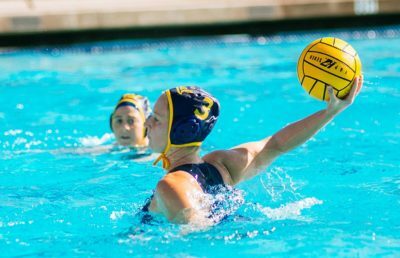 Last week, Joustra was named the MPSF Newcomer of the Week, the first of her career, following a very strong showing at Stanford, with 10 goals while playing in all four games. It is her first career MPSF honor. This also marked the second time a Cal freshman has earned this recognition this year (the first being Protopapas). Sophomore standout Emma Wright’s steady play has also been key in Cal’s first 10 games and will be needed this weekend at UC Davis. She has found the back of the cage in all but one game this year, and she scored twice or more in seven, placing her at third on the Bears’ scoring total with 20 goals. Senior Carla Carrega has come on strong as of late, almost averaging a hat trick per game in the last six. She has been a powerful second option for the Bears behind one of their leaders and resident Olympians, senior Dóra Antal. Even after the defeat at Stanford, Cal still remains No. 2 by USA Water Polo, ahead of interstate rivals such as No. 3 USC and No. 4 UCLA. Meanwhile, UC Davis has hovered at the edge of the top 10 in much of the season so far. Looking back into history, the Bears have a proven track record of dominating the Aggies, holding a 38-2 all-time record against them. UC Davis will need a strong performance from their offense, which has averaged just less than 10 goals a game. The team is coming off convincing wins against No 13. UC San Diego and No 17. San Diego State. This will be tough against an impressive defense the Bears have built this year. They have only surrendered about six goals per game — a noticeable improvement on last year’s number of more than seven per game. After having last week off, the Bears will be eager to get in the water against UC Davis and show why they remain the second-best team in the country. Securing their 10th win with only one loss would be an important first step for the Bears and their championship aspirations.